Concrete is so ubiquitous, that most people take it for granted. While concrete can form naturally in nature, it was the Romans who first perfected a formula strong enough for mass building projects. This technology was lost and then rediscovered hundreds of years later. In the modern era, researchers in France found that hemp core fibers could be used to create a natural cement. Today Hempcrete is drawing considerable attention among DIY crowd for its attractive properties, low cost and ease of use. Hempcrete is commonly used in block form as a fill in wood frame construction. 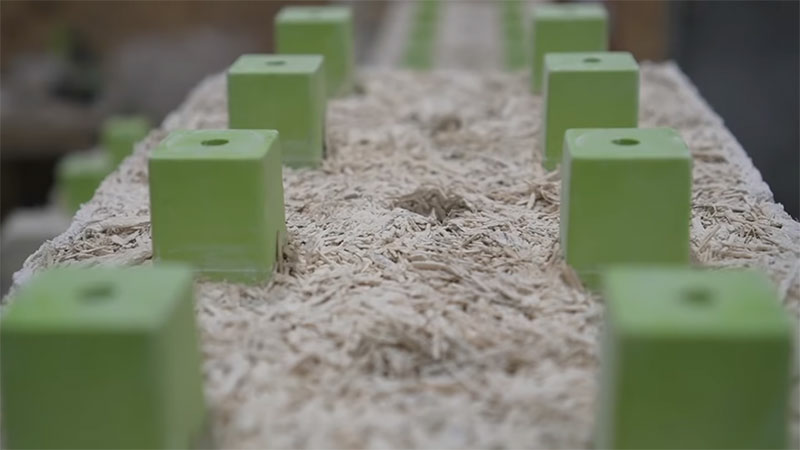 These hempcrete blocks are light, perhaps 1/8 the weight of a comparably sized concrete block. It’s not used as a structural element. Other builders eschew the blocks and apply hempcrete mix directly into the structure, held in place by temporary forms, like if they were working with stucco. Thermal properties — Helps regulate both high and low temperatures, very energy efficient. Keep the house warmer in winter and cooler in summer. Some home owners say as that their energy bills have been cut in half. Acoustic properties — Concrete makes for quieter interiors and buffers the noise from street traffic. Low maintenance — The lime helps keep both rodents, and mold away. The material’s breathability is also an added benefit. Repairs are easily done. Hemp houses have a long lifespan if properly maintained. Sustainable — Using annually renewable biodegradable materials such as hemp is a plus. As a plant, hemp traps carbon dioxide as it grows and buildings made from hemp are effectively carbon sinks. Hempcrete compares quite favorably in this way with cement, which produces high amounts of carbon dioxide when it is cooked up. The recent documentary “Bringing it Home” depicts one family’s efforts to build a nontoxic and healthy home using hemp hurd, lime and water. While hempcrete is in a sense a form of insulation, it requires its own building system. Hemp insulation is made from the hemp plant’s long bast fibers and are available as mats and rolls. There products can be used in new or old buildings as a substitute for fiberglass based insulation. 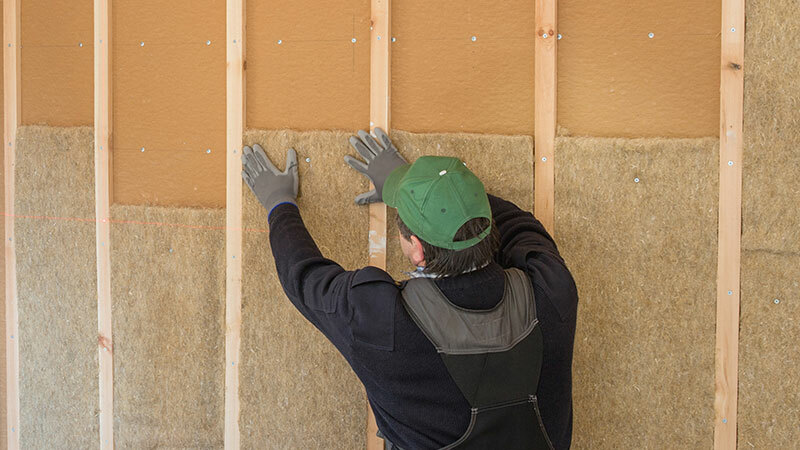 According to manufacturers, hemp fiber insulation has optimal moisture regulation and has a high thermal resistance. Lacking protein, it is highly resistant to mold growth, dust, and other pollutants. Soda added to the insulation adds to fire resistance values. There’s even a variety of manufacturing blends involving long fiber hemp insulation, including recycled cotton and polyester. 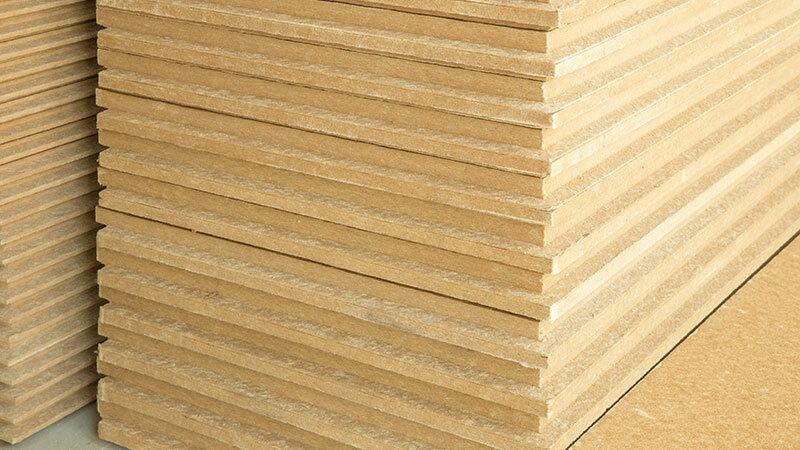 Particle board is engineered wood that is less expensive, and generally more uniform than wood and plywood. Wood scraps, fragments and even sawdust are commonly used, and agricultural fibers such as hemp can be used in a board making process, whether wholly or in blends. The short fiber and low density of hemp’s core fiber make up 70-75% of the total hemp biomass, making it suitable for a lightweight particle board. Hemp’s longer bast fibers can also be cut into strands for structural composite board manufacture. While hemp and other crops have considerably different harvesting and storing logistics than wood, the use of agricultural fibers to supplement wood supply and in some cases displace wood materials has a lot of potential. Final note: two of the great benefits of using hemp in building is its longer lifespan as well as its ease of disposal at the end of life. Whether cleaning up a construction site, dismantling an old home, renovating an existing structure, all materials used can be returned to earth through recycling, composting or be used for carbon neutral biomass energy through incineration. The footprint and impacts are fairly light. Where in the Los Angeles Angeles can I find a supplier of help insulation for attics?